Ohio County is a county located in southeastern Indiana. As of 2010, the population was 6,128. 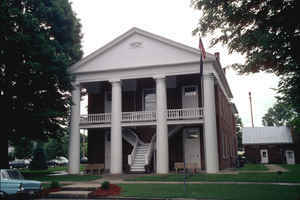 Ohio County was created on January 15, 1844. The county seat and only incorporated municipality is Rising Sun. The county is named for the Ohio River. Ohio County borders the state of Kentucky across the Ohio River for which it was named. It is part of the Cincinnati-Middletown, OH-KY-IN Metropolitan Statistical Area. The county is named for the Ohio River. Ohio County was organized by a legislative act January 15, 1844 becoming effective March 1, 1844 and was one of the last Indiana counties to be created. The origin of this county was undoubtedly due to the County Seat contest in Dearborn County. The question arising as to the constitutionality of its organization has been waived to meet the convenience of the public. 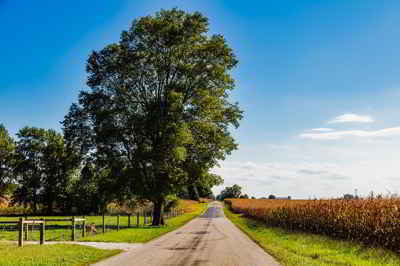 Ohio County is the smallest county in the State of Indiana, coming in at 86.7 square miles. It was is named for the Ohio River, which flows past it. Ohio County is divided into 4 Civil Townships as follows: Cass, Pike, Randolph and Union. As reported by the Census Bureau, the county has a total area of 87 square miles (227 km2), of which 87 square miles (225 km2) is land and 1 square mile (2 km2) (0.86%) is water. Ohio county is located in southeast Indiana.